Two new recordings of the legendary Joe McPhee, one a historic one and the other a current one, both with close partners and both position themselves as part of rich, open jazz continuum. This recording from 1985 is inspired by the immortal words of Eric Dolphy: “When you hear music, / After it’s over, / It’s gone, / In the air, / You can never / Capture it / Again”. 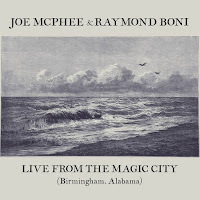 This duet with French guitarist Raymond Boni, one of the long-standing European comrades of McPhee since the early eighties and until these days, was recorded live at the Hulsey Recital Hall on the University of Alabama at Birmingham (UAB) campus on April 20, 1985. The university is known for the Civil Rights Movement struggle to open its gate to African-American students despite the outright racist policy of then Alabama Governor, George Wallace, during the sixties. 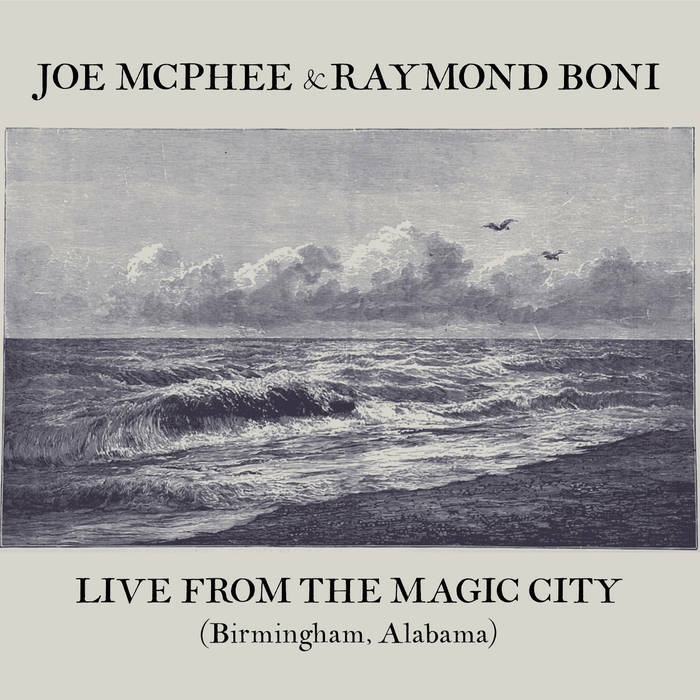 On this performance McPhee focuses on the soprano sax, adds raw electronics and recites poetry, while Boni plays on an effects-laden electric guitar. 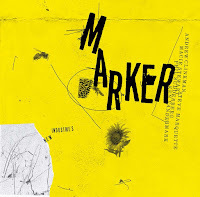 Their first set, a 35-minutes piece, is a free-associative improvisation that shifts instantly and organically between subtle and lyrical segments, sometimes abstract and atmospheric and even melancholic ones, to an intense, stormy eruptions. This piece sound not only as a meditation on Dolphy wise words about the one-time quality of such musical acts, but also as reflection on the total commitment and passion of such acts, common to the so just political struggles of the Civil Rights Movement. 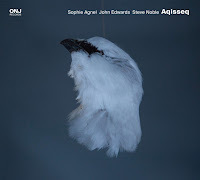 The second set begins with McPhee reciting repeatedly Dolphy words, playing with the original syntax with vintage electronics, while Boni cleverly frames this flow of words and sounds with rhythmical, cyclical lines. When McPhee resumes playing his soprano sax their interplay becomes intense and fast, moving between furious to compassionate sonic poles. 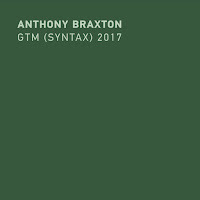 The last, shorter piece continues the muscular vein but spirals it to more extreme sonic terrains, sometimes playful and sometimes combative ones, as if sending a clear message that the struggle to win the heart of the Magic City has not been won yet. Bricktop is one of many extraordinary figures in jazz history, even though most chances you have not heard much about her as much as you have heard about the Duke Ellingtons, the Jimmy Luncefords or the Fletcher Hendersons (to paraphrase a famous Cab Calloway saying). Ada Beatrice Queen Victoria Louise Virginia Smith aka Bricktop (1894-1984) was part of expatriate American community of musicians in the Montmartre neighborhood of Paris. She became there an iconic, legendary saloon keeper, singer, dancer, actress and entrepreneur who later owned of a club, the Bricktop. The club name was suggested by Cole Porter, who dedicated “Miss Otis Regatta” to her. McPhee wanted to shed light on this sadly neglected era in the African-american cultural history, following historian William A. Shack Harlem in Montmartre: a Paris Jazz History (University of California Press, 2001). Shack described the work of “a select group of black Americans, without whom the collective voice of jazz music around the world would sound entirely different”. McPhee celebrates this kind of borders melting of jazz with a like-minded partner, Norwegian double bass player Ingebrigt Håker Flaten, with whom he has collaborated countless times before, performing and recording with The Thing. 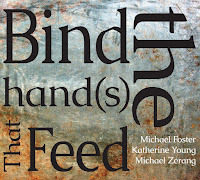 The two also recorded a duo album before, Brooklyn DNA (Clean Feed, 2012), dedicated to another distinct jazz continuum of a specific place and era, the jazz clubs of Brooklyn. Bricktop was recorded live at the Okka Fest 2015 in Milwaukee. 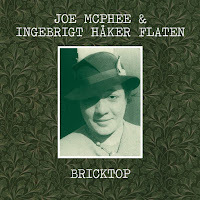 The interplay between the McPhee - playing only on the tenor sax - and Håker Flaten, as can be expected, is organic and deep. They move as one powerful entity. They begin with an extended, emotional blues, “Harlem”, with McPhee playing soft, meditative blows while Håker Flaten adds measured, rhythmical muscular attacks on the bass. “Bricktop” has even more serene, chamber tone. Håker Flaten attacks on the bass here are more minimalist and restrained and leave enough space for McPhee to gently dance around him. 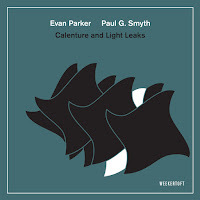 Only on the shorter “Montmartre” McPhee and Håker Flaten engage in a furious and intense interplay for a short time, before resuming the peaceful, majestic spirit of this beautiful recording.